Autocar and Courland Automotive have opened the Next Generation Award 2017 programme to all UK resident young adults aged 17-25. The Award is designed to be a career springboard for young people aspiring to work in the automotive industry. The winner of the 2017 competition will receive a £9000 cash prize, industry acclaim and a money-can’t-buy six-month work experience programme, shared between award sponsors Jaguar Land Rover, McLaren Automotive, Nissan, Toyota, Honda, and Horiba Mira, which has joined as a new award patron this year. The competition invites entrants to submit an original idea or innovation that would improve the UK automotive business in one of five categories: mobility, connectivity, sustainability, customer experience or marketing and communication. Prospective innovations can now apply to any element of the automotive business, from concept right through to the aftermarket sector. 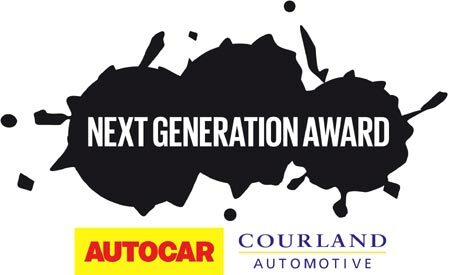 Applications for the Autocar Courland Next Generation Award 2017 are now being accepted at Autocar Next Generation Award. Launched in 2009, the Autocar Courland Next Generation Award is now a proven path into the UK auto industry. Next Generation Award finalists and winners go on to achieve great things and many have used the awards as a launchpad towards the commercialisation of their ideas. In addition, many of our finalists have found industry positions. 2011 runner-up Katie Jones is a Colour and Materials designer at Jaguar Land Rover, 2012 finalist Jonathan Maynard is Lead Engineer for Interior and Exterior Components at Aston Martin, and 2012 winner Roberto Antonio Pace is a Design Engineer at McLaren Automotive. 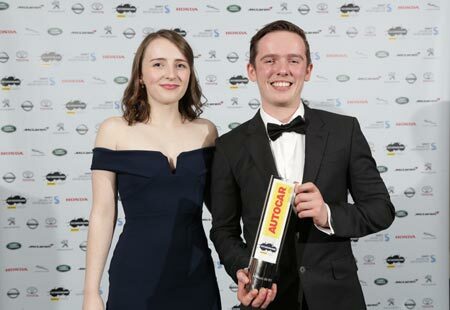 Autocar Editor-in-Chief and Award head judge, Steve Cropley, said: “Now in its ninth year, the Award is an established fast-track for talented young adults wishing to kick-start dream careers in the automotive industry. Year after year, the judges and I are consistently amazed both by the standard and ingenuity of the entries and we look forward to seeing a multitude of new cross-category ideas coming through in 2017”. Courland Automotive Global Managing Partner, Martin Bohling, said: “While we function principally at board level for the global automotive industry, it’s clear to us that the automotive industry has an acute need for young and diverse talent. Entries to the 2017 Award will be open until 5pm on 29 August. Six finalists will be selected to present their innovations to the panel of judges in November, with the winner being announced at the annual dinner of the Society of Motor Manufacturers and Traders (SMMT) at London’s Grosvenor House Hotel on Tuesday, 28 November.